In the past century, tremendous advances in the medical field of existing technologies and new technologies have relied on electronic technologies. After the discovery of X-ray imaging in the late 19th century, great progress was made in ultrasonic diagnostic and therapeutic equipment. The development of medical imaging for viewing and checking inside the patient's body makes it clearer and safer. This in turn leads to faster and more accurate diagnosis and follow-up treatment of disease and traumatic injuries. After the Second World War began to study the application of ultrasound in medical diagnosis. Ultrasound or ultrasound scans use high-frequency sound waves to produce images on the screen, internal organs, blood vessels, and tissues. It can be said to be the best of all ultrasound medical applications, especially for prenatal ultrasound scans or ultrasound diagnostics. It is faster and easier (and cheaper) to use than CT (computed tomography) scans and MRI (magnetic resonance imaging), so ultrasound scans are often used to monitor and diagnose the condition of organs (such as the liver, kidneys, or gall bladder). Echocardiography or ultrasound scans of the heart can also be used to diagnose and track cardiac conditions. 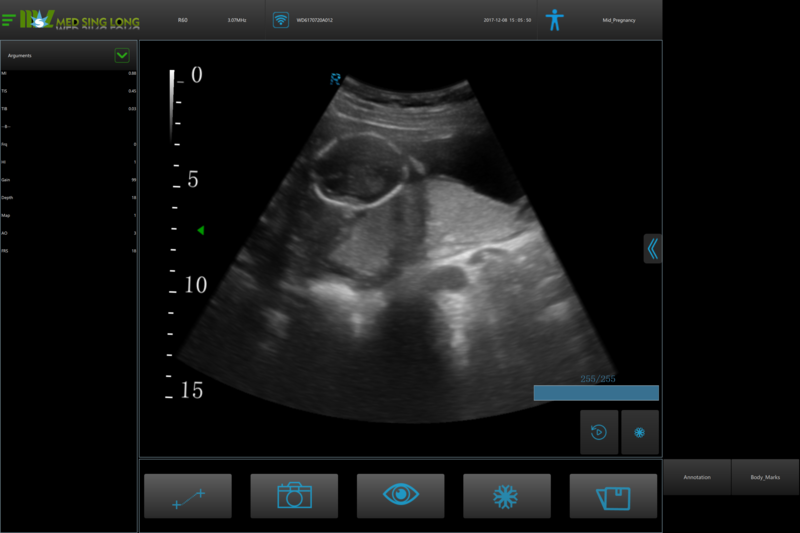 Ultrasound technology is increasingly used in surgery. USI (Ultrasonic Surgical Instruments) uses transducers to convert ultrasonic signals into mechanical vibrations; waveguides then amplify and propagate vibrations. USIs are very useful in a variety of medical procedures that can cut bones and other tissues while reducing bleeding through coagulation. This will generally reduce the average length of the surgery and damage to the tissue, resulting in less overall complications. Scientific progress means that ultrasonic energy can be used as a non-invasive or minimally-invasive HIFU (High Intensity Focused Ultrasound) or HITU (High Intensity-Treatment Ultrasound). These methods can be used to eliminate body tissues in the treatment of cancer and other diseases by applying ultrasonic energy to heat and destroy diseased tissues. This technique greatly contributes to other treatments, especially ESWL (Extracorporeal Shock Wave Lithotripsy). An ultrasound (or other) imaging system positions and targets the kidneys, gallbladder or liver stones. These stones are broken by ultrasonic pulses and naturally emptyed by urination. Introduced in the early 1980s, it quickly replaced surgery as the most widely treated stone. Bone healing and physical therapy for inflammation caused by rheumatism, tendinitis or joint damage. Drug distribution to treat tumors, especially in the brain, may be difficult to achieve. Cosmetic applications such as non-invasive liposuction and multiple treatments to improve skin tone, scars and sun damage. Other public health application of ultrasound is the removal of dental plaque in dental care as a scale remover before tartar hardens into tartar. The tip of the ultrasonic descaler can be vibrated at high frequencies to decompose the bacterial material to which plaque and tartar adhere. This technology can achieve a smoother, more painless experience.